Photo by Jim Herrington, 2009. Courtesy of Viking Penguin. We will be discussing a short story from the book Imperfect Ideal: Utopian and Dystopian Visions. Our reading will be from the The Yearning Remains section of the book and is entitled A Paradise Built in Hell (selection) by Rebecca Solnit. Join us for a lively discussion of classic and contemporary books on the second and fourth Wednesday each month. Oakland- Rebecca Solnit discusses and signs "The Encyclopedia of Trouble and Spaciousness"
Diesel, A Bookstore in Oakland welcomes author Rebecca Solnit to the store to discuss and sign her new collection of essays, The Encyclopedia of Trouble and Spaciousness, on Tuesday, November 4th at 7pm. The incomparable Rebecca Solnit, author of more than a dozen acclaimed books of nonfiction, brings the same dazzling writing to the twenty-nine essays in The Encyclopedia of Trouble and Spaciousness. As the title suggests, the territory of Solnit's concerns is vast, and in her signature alchemical style she combines commentary on history, justice, war and peace, and explorations of place, art, and community, all while writing with the lyricism of a poet to achieve incandescence and wisdom. Gathered here are celebrated iconic essays along with little-known pieces that create a powerful survey of the world we live in. In its encyclopedic reach and its generous compassion, Solnit's collection charts a way through the thickets of our complex social and political worlds. 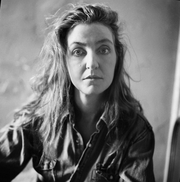 San Francisco writer Rebecca Solnit is the author of fifteen books about art, landscape, public and collective life, ecology, politics, hope, meandering, reverie, and memory. They include the critically acclaimed memoir The Faraway Nearby, Infinite City: A San Francisco Atlas, and River of Shadows: Eadweard Muybridge and the Technological Wild West, for which she received a Guggenheim fellowship, the National Book Critics Circle Award in criticism, and the Lannan Literary Award. Solnit has worked with climate change, Native American land rights, antinuclear, human rights, and antiwar issues as an activist and journalist. She is a contributing editor to Harper's and a frequent contributor to the political site Tomdispatch.com and has made her living as an independent writer since 1988. On Monday, September 29, 2014, 6-7 CST, Octavia Books will be moderating a Tweetchat discussion for One Book One New Orleans's selection this year, Unfathomable city: A New Orleans Atlas. We will be adding the authors/contributors in virtual attendance to this site in coming days. You will need to have a Twitter account, and you can either follow the hashtag #obono14 or go to Tweetchat to follow along there. Please come with questions. We hope to have some answers! Thus far, Rebecca Snedeker and Maurice Ruffin have confirmed they will participate. Please join us for a signing featuring Unfathomable City: A New Orleans Atlas with co-author Rebecca Snedeker along with other contributors Eve Abrams, Maurice Ruffin, and Billy Sothern. This book is a brilliant reinvention of the traditional atlas, one that provides a vivid, complex look at the multi-faceted nature of New Orleans, a city replete with contradictions. More than twenty essays assemble a chorus of vibrant voices, including geographers, scholars of sugar and bananas, the city's remarkable musicians, prison activists, environmentalists, Arab and Native voices, and local experts, as well as the coauthors’ compelling contributions. Featuring 22 full-color two-page-spread maps, Unfathomable City plumbs the depths of this major tourist destination, pivotal scene of American history and culture and, most recently, site of monumental disasters such as Hurricane Katrina and the BP oil spill. Rebecca Snedeker is an Emmy Award-winning filmmaker and writer whose work supports human rights and creative expression in her native New Orleans. Most recently, she collaborated with Rebecca Solnit and a host of contributing cartographers, writers, visual artists, and researchers to create Unfathomable City: A New Orleans Atlas (University of California Press), a book of 22 imaginative maps and essays. Snedeker has produced several feature documentaries that take place in New Orleans, including By Invitation Only (PBS), Witness: Katrina (National Geographic Channel), and Land of Opportunity (ARTE). She is the recipient of grants from the National Endowment for the Arts and the National Endowment for the Humanities. Diesel, A Bookstore in Oakland invites you to a One Night Stand discussion of The Faraway Nearby by Rebecca Solnit on Tuesday, September 24th at 7 pm. We love book groups as much anybody, maybe even more than most (we have two: the Diesel Readers and the Seated Diesels) but even we understand that a commitment to read a book every month can be draining. That's why we're inviting you to have a One Night Stand with us: a one-time, no-strings attached night of engaging, entertaining, dare we say lurid, discussion of local author Rebecca Solnit's latest book. The Faraway Nearby explores stories: the ones we tell ourselves, the means by which we tell them, the journeys they lead us on, and the memories they give us. Each story in this work of literary nonfiction is a beautiful slice of life, from her own personal experiences with her mothers' fight with Alzheimer's, to the ones she has only read or heard of -- Che Guevera's time in South American leprosariums, or a struggle for survival in the arctic. With her exquisite prose bordering on poetry, this may well turn out to be one of the best books you've read this year. Our very own bookseller and book group coordinator Linda Grana will be facilitating the discussion. This event is free and all are welcome and encouraged to attend! Rebecca Solnit is currently considered a "single author." If one or more works are by a distinct, homonymous authors, go ahead and split the author. Rebecca Solnit is composed of 3 names. You can examine and separate out names.